At Terraqui we are characterized by an upgrade spirit, by a demanding accuracy of the legal criteria and by clear vocation for environmental law. We love this job because it involves working with professionals from different sectors and because each case is a challenge that requires us to keep up. At Terraqui the activity of lawyers goes beyond their own work in the office, because we understand the importance of knowing in-depth and on-site our clients activity and thus provide the most appropriate legal solution to their needs. Lawyer, Bachelor of Law from the University of Barcelona (LLB 1990). Rigorous study of each case, perseverance, continuous updating of environmental law and full involvement with customers are the sources on which I founded Terraqui and keep on maintaining its spirit. Founder of Terraqui (January 1996), and he is the coordinator of his team and collaborators. Founder of the Environmental Law Section (1992) at the Barcelona Bar Association (ICAB), he was the Secretary until 1995 and Chairman until 2002. 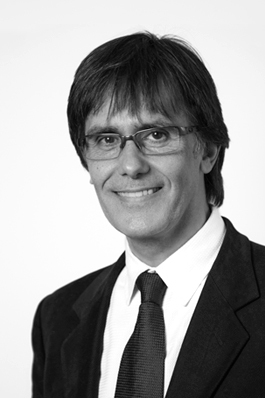 Secretary of the Fundación Forum Ambiental Board of Trustees since 2007. Member of several associations and organizations related to environmental management. He conducts many courses; he is a conference speaker and author of articles on environmental legal topics since 1993. Lawyer. Degree in Law from the University of Girona, she completed three years of Civil Engineering at the Universitat Politècnica de Catalunya, a Master’s Degree in International Studies from the University of the Basque Country and a PhD in Public International Law from the University of Barcelona. I am passionate about the analytical challenge and creativity that allows the exercise of environmental law, within a structured framework, to meet the needs of customers with customized solutions. Professional practice mainly in the private sector, in the field of water and waste, and in the public sector in the management of natural resources. She also has experience in academic teaching as a professor of public international law and renewable energies. Lawyer, graduated in Law from the University of Lleida (2000). One academic year at the University of Ferrara (1998-1999). Master’s Degree in Urban and Real Estate Management from the UAB (2001) and Master’s Degree in Territorial and Urban Planning Studies, with the Diploma of Urban Planning Technique from the Polytechnic University of Catalonia, Pompeu Fabra University and the School of Public Administration of Catalonia (2009). My global analytic spirit has taught me that details are the key to conflict resolution. She has more than fifteen years of professional practice in the local and regional public administration, and also in the private sector since 2012. 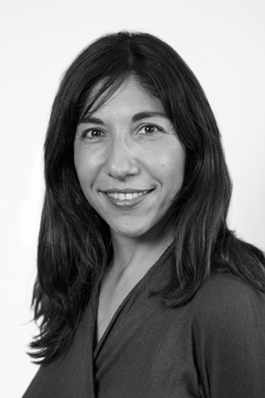 Laia Soriano-Montagut Jené is a specialist in administrative, territorial and urban planning law. Since 2015, Secretary of the Spanish Association of Urban Planning Technicians and its Catalan Association. Ms. Farbiarz received her degree in Sociology from the Universitat of Barcelona, Catalonia, (Spain), in 1997 following a LL.M. specialising in Biotechnology and Environment Scientific Communication at the Universitat Pompeu Fabra in 2000. She has enlarged her knowledge receiving a LL.B. in Life Coaching from Escuela Coach Creativo , in 2009. Articulation of different perspectives of communication and the development of productive dialogues allow me to search for and built up a creative and an effective communication. 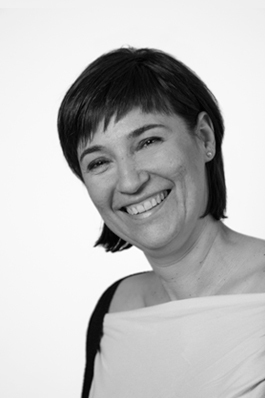 Alexandra Farbiarz is an expert in communication, training and coaching. 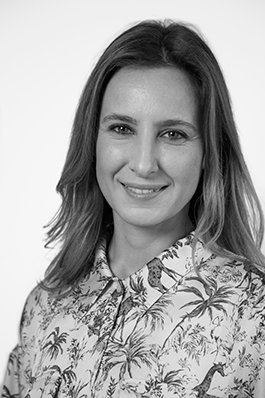 Specialized in improving interaction for organizations and individuals, has over more than 10 years of experience as head of the Communications Department in public and private sector, mainly in the field of engineering and environment. Administration. Three years of Psychology degree. Training as a Senior Technician in Foreign Trade (Institute for Training and Employment), Basic and Financial Accounting (Centre for International Studies) and training in computer security and remote management. Attending with autonomy to facilitate the work to the team of Terraqui, its clients and collaborators, as well as to generate confidence is what gives sense to my professional practice. 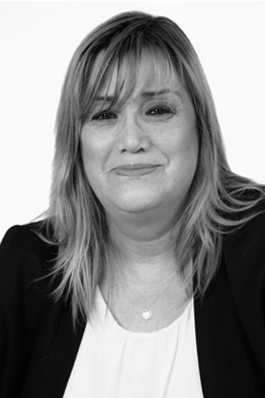 She has over 20 years of experience in the field of legal administrative assistance.